Here we are again, at the close of another year of fantastic footy gear and incredible soccer storylines. From the updated majesty of the Copa, to the limited edition madness from several big brands, to Puma continuing to create magic from madness, and of course Nike showing again that FlyKnit is still their preferred plan of attack; these all made 2018 a year to remember for anyone with a vested interest in soccer footwear. For each release, we’ve put the boots under the microscope, run them into the ground, caressed and finessed them, and passed judgement in a way that only the Instep can. Grab some egg-nog/hot cocoa, settle down by the fire (or heater, or ,if you’re lucky, the beach), and enjoy our choices for 2018’s Boots of the Year. The “Old” Nike stable – We normally reserve this list at the end of the year for releases that have only made their appearance within the 365 days. However, Nike still has two of the best boots in the market with the Nike Tiempo VII and the Nike Hypervenom III, and we couldn’t let this list go on without at least mentioning them. Rumors are that the HyperVenom isn’t much longer for this world, but we still enjoy every excuse to wear these two boots, and they’ve certainly earned inclusion. New Balance Tekela 1.0 – New Balance finally has a quality one-two punch that could propel them into serious conversations with the rest of the boot world. While the newest Furon is a great boot, it’s the Tekela that actually makes our final list. Replacing a Visaro that had certainly worn out its welcome, the Tekela offers something that reminded us of the original HyperVenom and was quite impressive for a new silo from NB. We’re quite anxious to see where New Balance goes from here with two quality boots to tinker with and improve. Mizuno Rebula 2 – If the Copa 19+ didn’t make a belated appearance towards the end of the year, these would probably be in the top 3. As far as leather soccer cleats go, these are hard to top. The Japanese giants Mizuno know their leather and the Rebula 2 somehow manages to improve on the initial Rebula, which was an instant legend of a soccer cleat. The lockdown feel is fantastic for a leather shoe, the outsole is amazing, everything about this shoe screams quality. Recency bias may be the only thing that pushes Copa ahead of these shoes. (Andrew) Nike Phantom VSN – It was going to take something impressive to replace the Magista, but Nike was able to deliver with the Phantom VSN. The softest FlyKnit that we’ve seen from Nike in their boots as the boot layer that covered the Ghost Laces was able to provide the structure and durability that allowed the FlyKnit layer underneath to exist on its own. 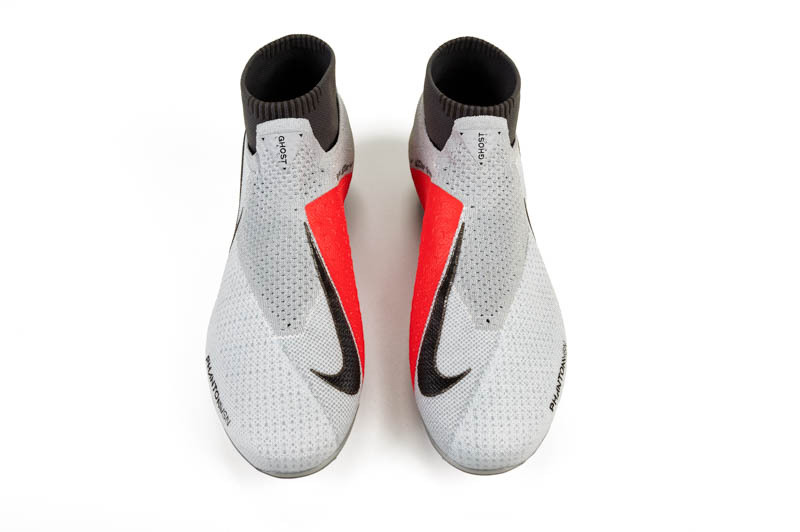 Add in how balanced the boot felt between giving an incredibly intimate feel on the ball while still feeling plush and soft is a continued testament to the fact that Nike is far from done improving and moving forward with FlyKnit. Considering rumors that the HyperVenom is soon to depart, this boot will provide a great home for HyperVenom fans looking for something else within the Swoosh to make them happy. (Tise) adidas X18+ – The X 18 was a fresh breath of air. 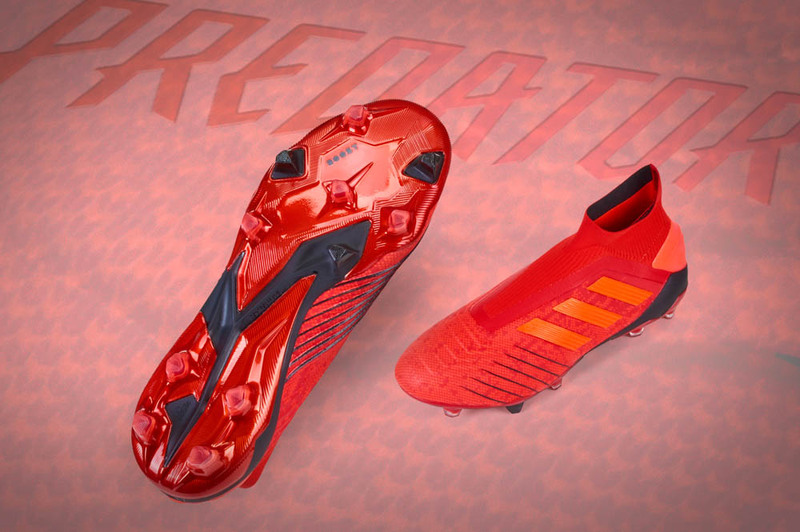 The launch colorway was outstanding and the shoe has been a worthy heir to all past F50 bloodlines. I’m a massive fan of the Speedframe outsole and the entire construction of the shoe lends itself to speed. There are still the fit issues that a true laceless shoe has but for lovers of speed boots, these shoes are about as good as it gets. 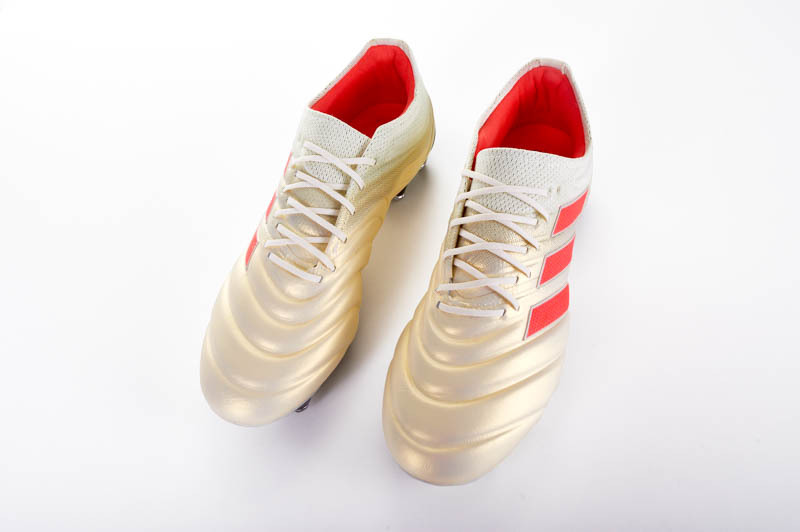 (Tise) adidas Copa 19+ – My first impression upon seeing the images of the Copa was not good. When adidas showed them to us, again my first impression getting them in my hands for that relatively short moment was not great. In truth, I was not a fair judge of the shoes because I am a huge Copa lover, the ‘old school’ shoes are pretty much Zeus in my pantheon of soccer shoes. The 19+ is an incredible shoe though. The best fitting laceless shoe by adidas, it makes your feet feel like they’re in bed. Comfort is a big thing for me, these shoes continue that Copa tradition. The ball feel and touch are arguably a step up from that great old Copa. This is a great shoe. 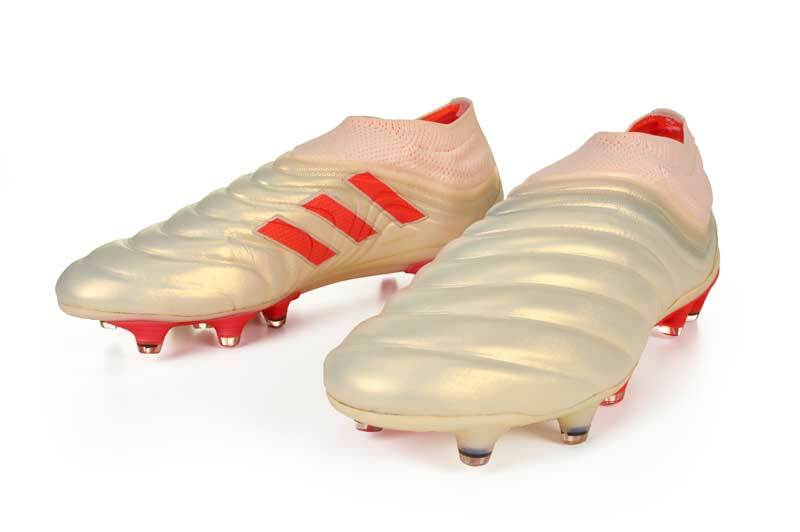 (Andrew) adidas COPA 19+ – If you had walked up to me before 2018 and said, “Hey, let’s take the Copa, make it laceless, and you’ll enjoy every second with it,” then I would have laughed in your face. The COPA 19+ offers the best combination of comfort, feel, and lockdown that adidas has crafted in a laceless build, up to this point. 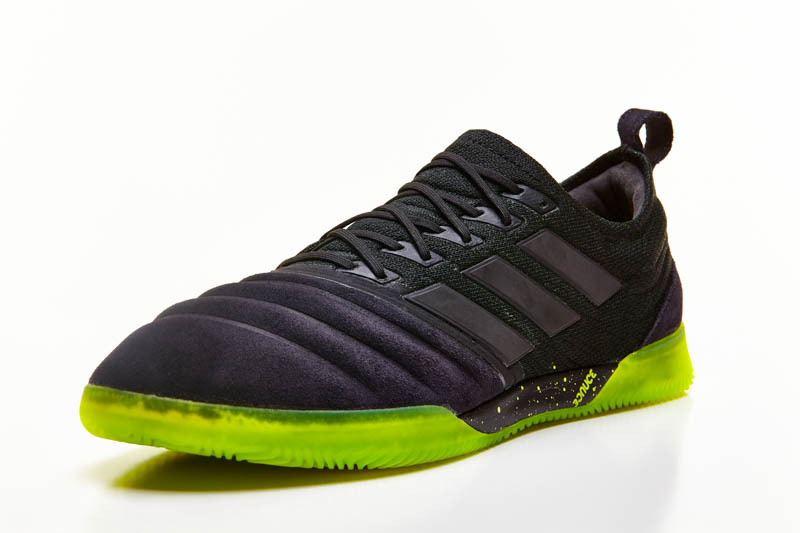 The leather is super soft and the FusionSkin offers a great touch while also aiding in giving the needed lockdown that has been the Achilles heel of all laceless adidas boots. Is it weird that the latest Predator is a disappointment while the updated COPA is their best boot? Yeah, weird…but we’re in love with our pair. There’s nothing outdated about this boot and nearly every aspect is something that won us over. (Andrew) Under Armour Magnetico Pro – It truly is the year of the “other” brands. New Balance has an incredibly dynamic duo, Umbro is pushing impressive boundaries, but Under Armour has truly stumbled onto greatness. The Magnetico Pro was part of a host of ridiculous boots that came out in 2018, but continues to be the boot that keeps jumping out of my boot bag. An upper that is next-level, comfort that surprises you out of the box, and traction that lets your ride within the Magnetico feel seamless. I loved all the boots we put on this list, but for me it’s easy to put the Magnetico Pro at the top of the heap. Will Under Armour be able to top this moving forward? It would be nice, but, for now, we have this magnificent creation to hold us over. 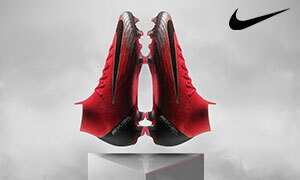 (Tise) Nike PhantomVSN Elite – Nike has done it all when it comes to soccer cleats. It’s one hit after the other and sometimes it’s easy to forget how creative they can get when they put their minds to it. For me, the PhantomVSN was a swift reminder of what Nike is capable of. We tested these shoes for a long time and each time, taking them off was a mentally tougher task than the time before because they make you want to keep playing. Fit, comfort, agility. Next level stuff. If I’m going in the past and buying one soccer cleat, it’s the Vision.